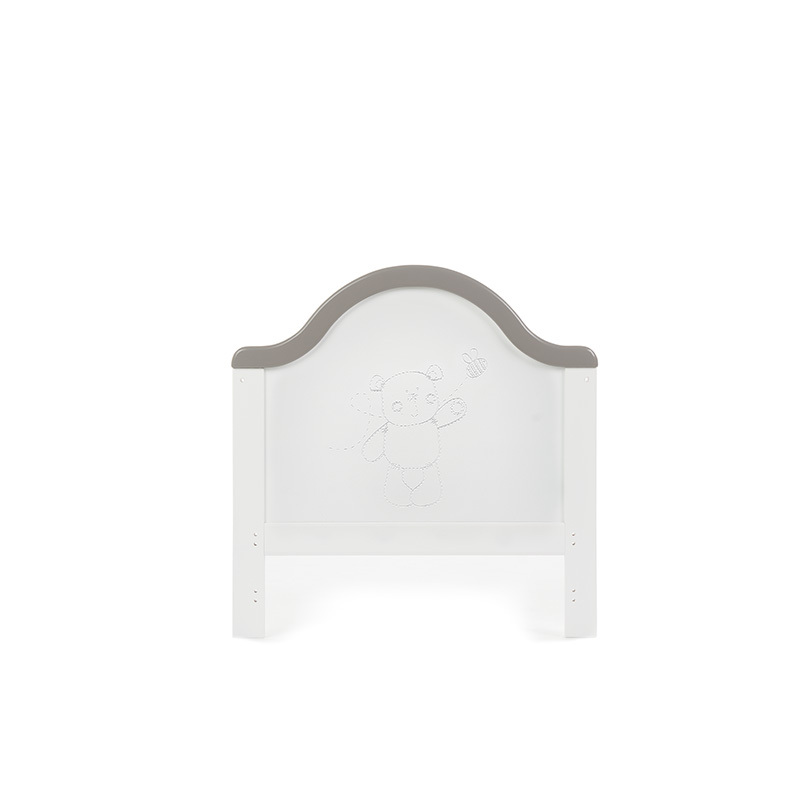 Obaby’s beautifully crafted B is for Bear cot bed makes the perfect bedtime companion to any child’s first nursery. 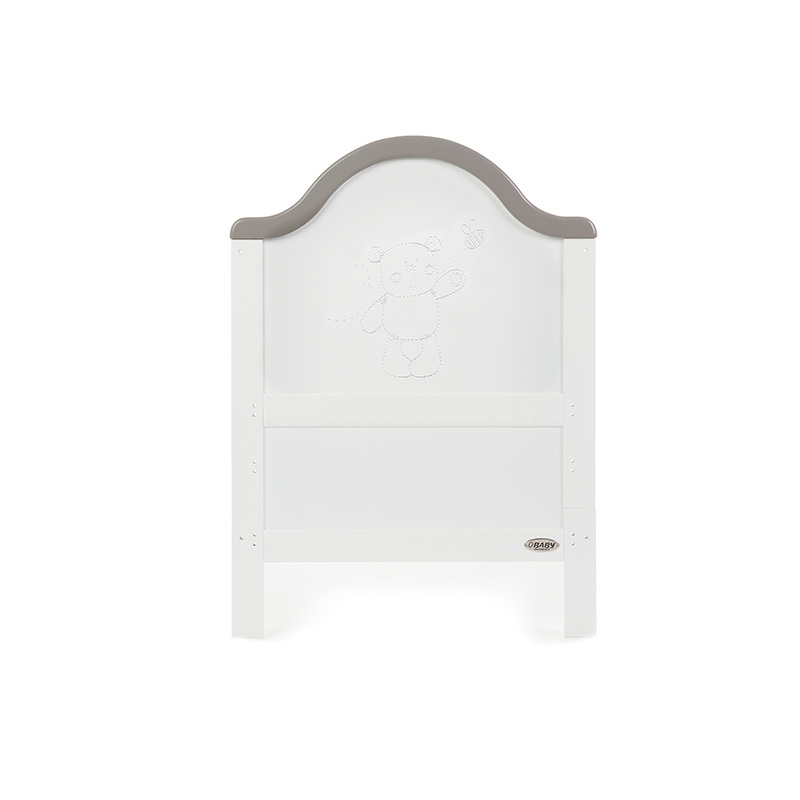 Featuring Obaby’s beloved bear character on the cot bed end to keep your little one company, it provides an array of features to make bed time an enjoyable experience for both parent and child. This thoughtfully designed cot bed provides three mattress base heights, the top position allowing your young baby to be taken in and out easily without any unnecessary bending. 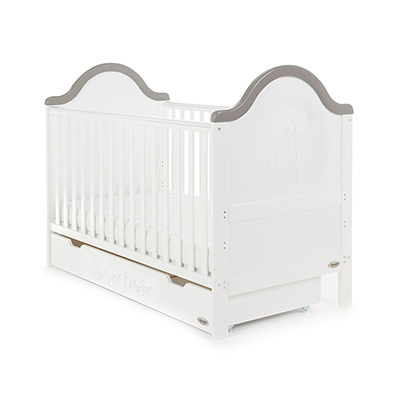 Then, as your child grows, learning to sit and stand, the mattress base can be lowered by two further positions to provide extra security and reassurance. 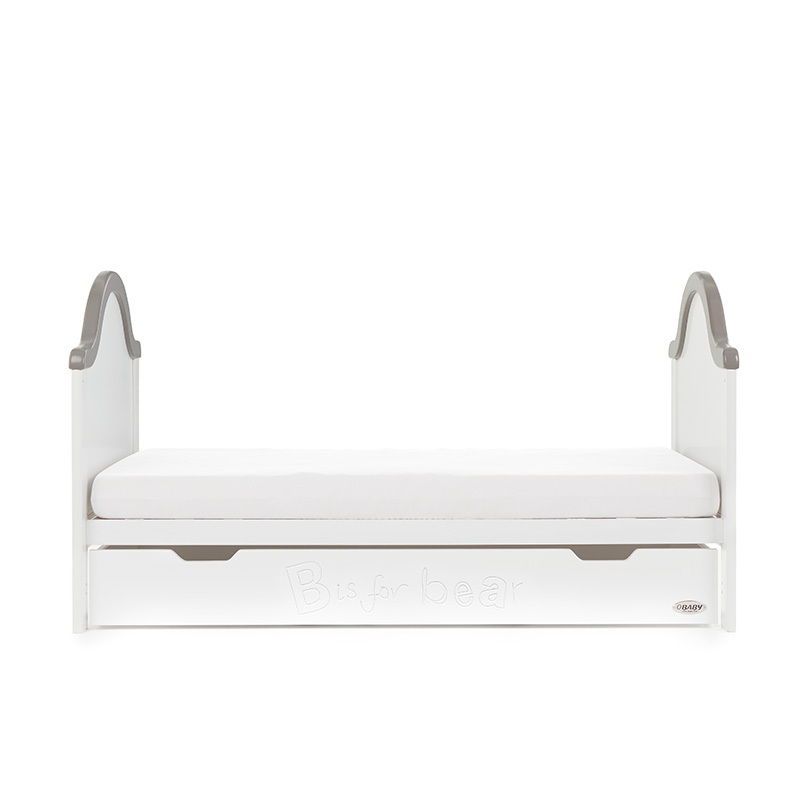 Further to this, it can then convert seamlessly into a cosy and stylish toddler bed. 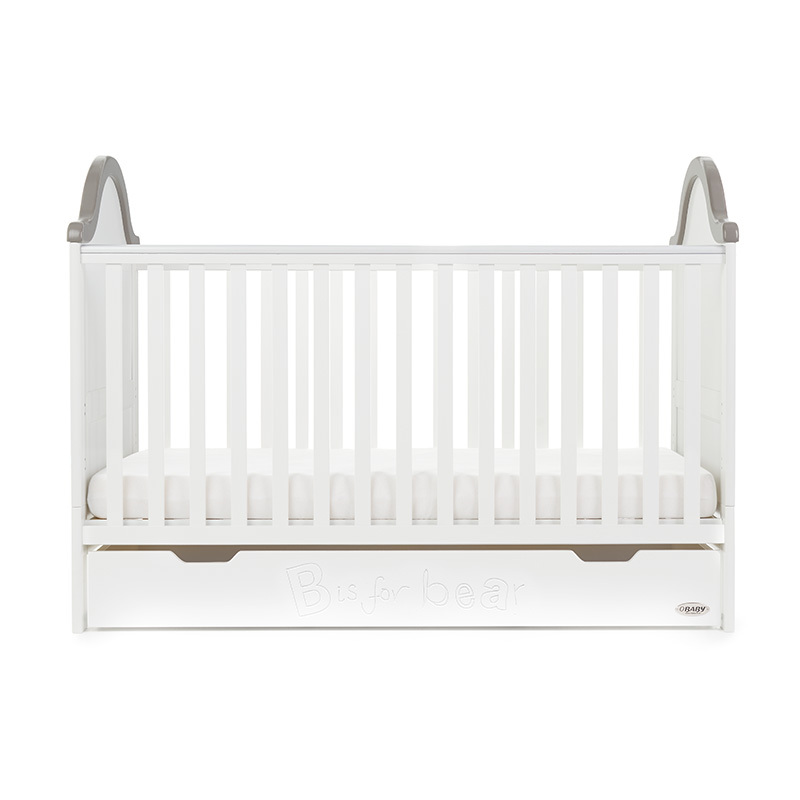 This is done by simply splitting down both ends and removing the fixed sides, meaning minimal disruption during little one’s often daunting transition. 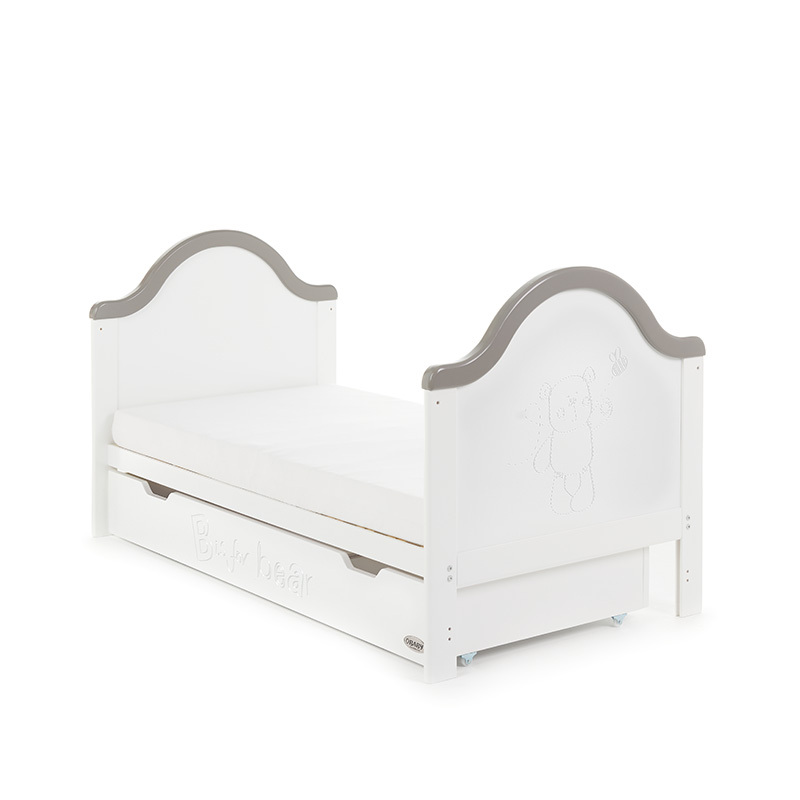 Once the change is complete, the bed can be suitable for a child up to approximately 4 years, meaning maximum durability and even better value. 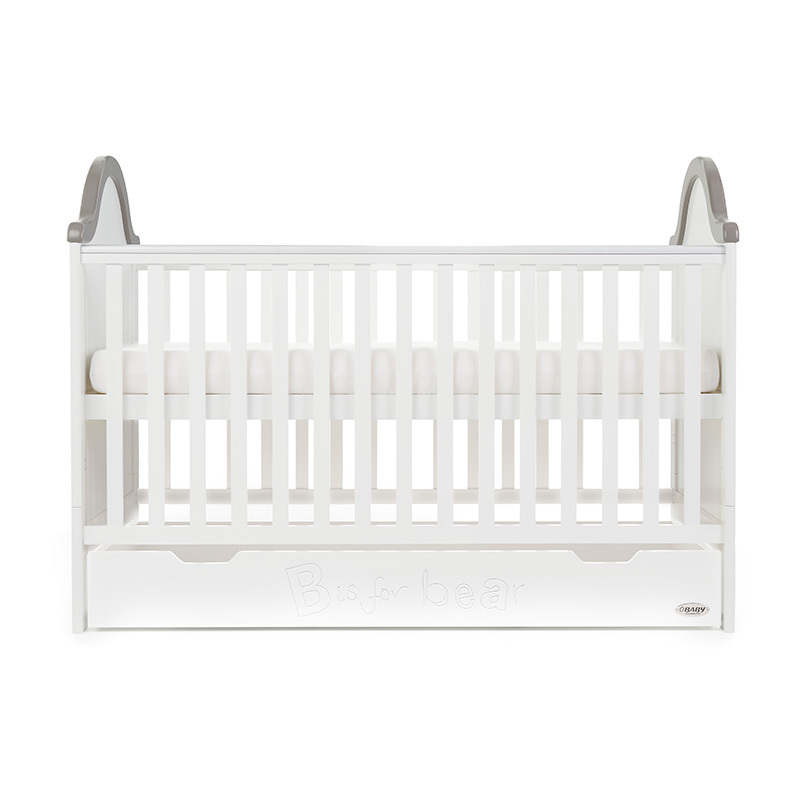 The Obaby B is for Bear cot bed strikes the perfect balance between modern and classic designs and co-ordinates perfectly with other pieces in the obaby furniture range.